The Éire Óg senior hurlers earn a four-point win over Upperchurch-Drombane as under-16 Camogie stars Rachel Maher, Rachel Spillane, Grace O’Brien and Saoirse Gleeson prepare for next weekend’s All-Ireland final. 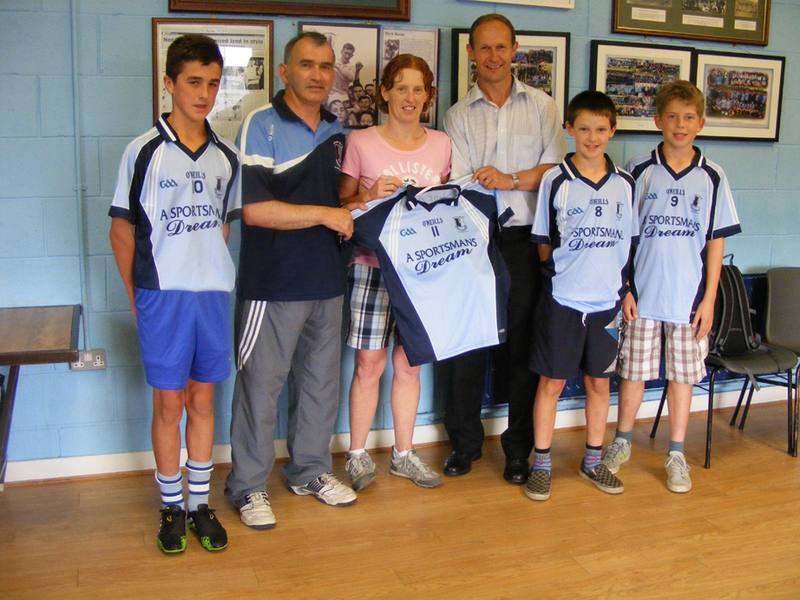 Deirdre Hughes, representing A Sportsman’s Dream, pictured presenting a new set of jerseys to John Phelan (Éire Óg under-12 manager) and Michael Geaney (Chairman of the Juvenile Club – also present are members of the Blues’ under-12 team. Clean Ireland Recycling County Senior Hurling Championship: The Blues enjoyed a four-point win over Upperchurch-Drombane in round three of the county championship on Saturday evening last – final score: 2-18 to 1-17. Round four is due to take place in three weeks’ time – details of the opposition and date to be confirmed. Junior A Hurling Championship: Our junior A team are due to continue their championship campaign this weekend against Toomevara. See fixtures for details. Junior B Hurling Championship: The junior B team are due to play their second round game against Portroe this weekend. See fixtures for details. Minor Football: Best wishes to Paul O’Leary and the Tipperary minor footballers who play Monaghan on Monday next in the All-Ireland quarter-final. Under-6 & Under-8: Back to normal training now that the Summer Camp is over – Wednesdays at 5.15pm and Saturdays at 10am. A big thank you must go to camp sponsor Christy Manning for his continued help and support of the Juvenile Club. Under-10: Training resumes Wednesday at 5.15pm. Under-12: Well done to our under-12 group four team who beat Toomevara in Nenagh on Friday last to reach the north final of the Go Games competition where they will face Templederry. The group one team play their semi-final against Roscrea this Wednesday, July 31st at 7pm. Best of luck boys! Under-16: The under-16 championship is progressing nicely for the lads who enjoyed a good win over Ballina in Nenagh last week on a score line of 3-20 to 0-5. Their next round match against Roscrea has been postponed so the next scheduled game is against Toomevara in Nenagh on August 5th. Thanks: Many thanks to A Sportsman’s Dream in Nenagh for their sponsorship of the juvenile jerseys. They had their first outing on our under-12 team on a recent trip to Cork and they did you proud. We would hope that club members will show their continued support for our sponsors A Sportsman’s Dream. Under-13: Our under-13s defeated Ballina last week in the opening round of the championship and played Silvermines on Monday last. Junior: Our juniors open their championship campaign on Monday, August 5th against Ballina in Ballina. Summer Camp: The club Summer Camp last week was a huge success with over one hundred young people taking part. Thanks to all the organisers and coaches who made it a very successful and enjoyable week. Tipperary Intermediates: Hard luck to the Tipperary intermediate team that was defeated by Waterford in the Munster final. Ciara McGrath played for Tipperary and scored a great point. Tipperary Under-16s: The very best of luck to Grace O’Brien, Rachel Maher, Rachel Spillane, Saoirse Gleeson and the Tipperary team in their quest for All-Ireland glory this weekend. We hope a huge following from the club will travel to support the team and our own players in particular. They have worked extremely hard under the watchful eye of manager Brian Boyle. The All-Ireland final takes place in Portlaoise at 12 noon on Saturday. There will be a clothing recycling drive in aid of the Nenagh Éire Óg juvenile club on Saturday, August 31st at the GAA Complex – please drop off all items between 1pm and 3pm. Please donate all your clean unwanted clothes including bed linen, towels, curtains, shoes, bags, belts and soft toys. Wearable clothes will be recycled and re-used and other items will be recycled for items, such as, industrial wipes or soundproofing. Laptops (must be intact with lead) will also be accepted along with mobile phones. No household bric-a-brac. If you can’t make it to the club house on the day please contacts Shane Connolly on 087 637 3830 or Ger McCarthy on 087 653 9229 before August 31st to make arrangement for the collection of items. Thank you for your support and for taking the time and effort to support our fundraising drive. Nenagh Éire Óg returned to winning ways in the Ger Gavin North Tipperary Minor A Hurling Championship thanks to a four-point win over Toomevara at MacDonagh Park, Nenagh on Tuesday. A Christopher Ryan goal in the second half injury time sealed a four-point win over Toomevara on Tuesday evening. Toomevara impressed throughout this encounter and a late rally from the Ken Dunne-managed side reduced Éire Óg’s lead to just a single point before Christopher Ryan’s strike decided the game in the 61st minute. Toome and Éire Óg traded frees in the opening exchanges before Donnacha Quinn buried a 21-yard free to hand Éire Óg a 1-1 to 0-1 lead in the fifth minute. Killian Gleeson and Gary Howard added to the Blues’ tally to help the home side into a 1-3 to 0-2 lead by the eighth minute. There were still four points between the sides in the 14th minute when Toomevara converted a penalty to leave the minimum in it (1-4 to 1-3). Six minutes later a Toome free levelled matters before Killian Gleeson won the ball and passed to Gary Howard who in turn picked out James Mackey and Mackey raced through to score a right-handed goal in the 21st minute. Toome responded in positive fashion with a goal in the 23rd minute while three consecutive points forced the Greyhounds into a 2-7 to 2-4 lead. Éire Óg closed out the half with points from Donnacha Quinn (free) and John Cahalan to leave just one between them at the break – 2-6 to 2-7. The sides traded points early in the second half before Killian Gleeson levelled it up in the 36th minute. Five minutes later John Cahalan gave Éire Óg the lead, Donnacha Quinn (free) then added to the Blues’ tally before John Cahalan’s third point from play helped the home side into a 2-11 to 2-8 lead by the 47th minute. Three consecutive Toome points (two frees) left the sides locked at 2-11 apiece by the 53rd minute. Éire Óg responded well, however, with points from Gary Howard and John Cahalan forcing Nenagh into a 2-13 to 2-11 by the 56th minute. Toome converted a free right on the hour mark to leave just one in it, but in the first minute of injury time Christopher Ryan’s solo run culminated with a goal from the midfielder which settled the issue. Éire Óg will play Kilruane MacDonagh’s and Kildangan in their remaining group games of this year’s championship. Nenagh Éire Óg: Brian Gubbins, Conor Ryan, Michael Collins, Ger O’Gorman, Oisín Ryan, Barry Heffernan, John Cahalan (0-4), Christopher Ryan (1-0), Andrew Coffey, Killian Gleeson (0-2), Donnacha Quinn (1-5, 1-3 frees, 0-1 ‘65), Jack Molamphy, Aidan Healy, Gary Howard (0-2), James Mackey (1-0). Subs: (30th) Anthony Walsh for Jack Molamphy, (32nd) Gavin O’Connor for Andrew Coffey, (50th) Brian Flynn for Aidan Healy. Don’t miss you chance to take part in the GAA’s Healthy Club Project Questionnaire which is run in association with Nenagh Éire Óg – closing date is Wednesday, July 24th. Junior A Camogie plate final against Newport on Sunday evening. One of the first initiatives launched in association with the GAA Healthy Club Project is a club questionnaire. We are asking club members, players and those in the wider community to complete the questionnaire before the closing date of Wednesday, July 24th. Should you wish to participate in the club questionnaire please do so by using the following link! County Senior Hurling Championship: Our senior hurlers will play Upperchurch-Drombane in round three of the Clean Ireland Recycling county senior hurling championship on Saturday evening in Templemore at 7.30pm. Please make the effort to support the lads! Junior A Hurling Championship: Our junior A hurlers continued their championship campaign on Friday evening when they defeated Roscrea comfortably. Best wishes to Luke Kennedy who received a thumb injury during the game. See match report: here! Junior B Hurling Championship: Our junior B hurler’s championship clash with Portroe was postponed last Saturday evening due to a bereavement. Minor A Hurling Championship: Our minors hurlers were defeated by Roscrea in the group stages of the championship on Thursday evening last. Final score was 2-17 to 1-17 in favour of Roscrea – see match report: here! The minor A hurlers now face Toomevara in a vital game at 8pm on Tuesday evening at MacDonagh Park, Nenagh. Congratulations: Well done to Éire Óg’s Tommy Heffernan who scored a cracking goal in Tipperary’s 5-19 to 2-13 under-21 semi-final win over Cork at Semple Stadium, Thurles last Wednesday evening. Congratulations too must go to Daire Quinn who is also on the Tipperary under-21 panel. Under-13: Under-13s played their second game against Ballina on Monday evening. Under-16: We would like to congratulate the Tipperary under-16 management for reaching the All-Ireland final against Galway on August 4th and, of course, our club players Rachel Maher, Grace O’Brien, Rachel Spillane and Saoirse Gleeson who are members of this very talented team. Junior: Our junior team played the Munster Junior A Plate final last Sunday evening in Newport against an experienced Newport-Ballinahinch team. It turned out to be the Camogie game of the year with both sides doing Tipperary proud. Nenagh lined out with nine minor players and four players playing their second game of the day, but you wouldn’t know it such was the intensity that they brought to the game. Nenagh normally compete at the junior B grade, but the Blues reached the final on merit and were absolutely terrific in the decider. In the end, sadly, Éire Óg lost out on a 4-13 to 7-8 scoreline. For a full report on this game please click: here! Bag Packing: The club recently had a bag packing fundraiser in Dunnes Stores and we would like to thank everyone that contributed and of course all those that took part. We will be holding another one in Tesco on August 2nd and 3rd for the juvenile section of the club. We could do with similar support and help in bag packing on those dates. If interested in helping out please contact any committee member. Summer Camp: Our juveniles and their friends are enjoying a great week of fun and coaching at the annual Summer Camp this Monday to Friday. Nothing much changes. A hurley and ball can still make a child’s summer and give them a healthier future. If you know a boy or girl who would benefit from joining Nenagh Éire Óg, please contact any club officer or member and we will get back to you with the relevant training times. All are welcome. Under-12: The under-12 group one and four hurlers travelled to Littleton to play Moycarkey-Borris in challenge games on Sunday last – many thanks to the home club for their kind hospitality on the day. Both teams are fixed to the play their respective north semi-finals in MacDonagh Park, Nenagh on Friday night next at 6.30pm. Under-16: Our under-16s were unlucky to go down to Newport by a puck of a ball in a tight game on Monday, July 15th. The lads recovered well from that defeat by beating Ballina 3-20 to 0-5 at MacDonagh Park, Nenagh on Monday, July 22nd. This win brings the lads right back into contention in a very open group. The Éire Óg under-16s are away to Roscrea on Monday, July 29th and would love to see some support for the Blues at that encounter. Guess The Score: There was no winner in the ‘Guess the Score’ fundraiser. Seller prizes went to juveniles Seán Phelan and Ben White. The prize money will now be awarded to charity. More to follow. Nenagh Éire Óg suffered a heart-breaking defeat at the hands of Newport in a dramatic Munster Junior A Camogie League Plate Final played at Newport on Sunday evening, July 21st. 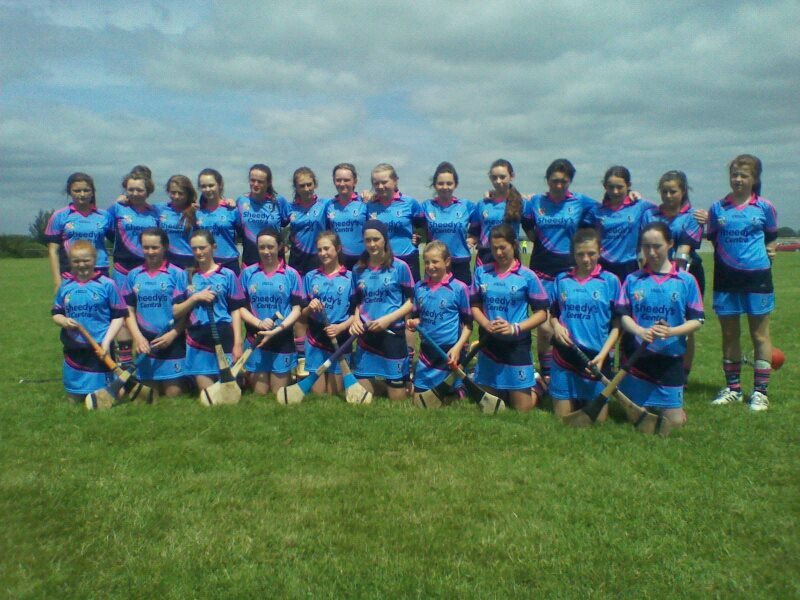 The Nenagh Éire Óg junior B Camogie team. Although the Éire Óg girls typically compete at the junior B grade the Blues reached this final on merit and were absolutely terrific in the decider. Newport started well and led 2-3 to no-score inside the opening eight minutes before a Ciara McGrath point got a determined Éire Óg off the mark in the 14th minute. The Blues’ never-say-die spirit really came to the fore thereafter with points from Aileen Duggan and Rachel Maher reducing the deficit significantly by the 18th minute. Newport responded with a point, but in the 24th minute Danielle Harrington struck for a goal to leave four between them (1-3 to 2-4). A Newport free opened a five-point gap, but Éire Óg were growing in confidence with points from Michelle Collins and Holly O’Brien reducing the deficit to just a goal in the 28th minute. Newport hit 1-1 late in the first half and retired at the break nursing a 3-6 to 1-5 lead. Although an Aisling O’Brien point got Éire Óg off to a positive start in the second half a fourth Newport goal in the 32nd minute left the Blues with a mountain to climb (1-6 to 4-6). The Éire Óg players were an absolute credit to themselves and everyone associated with the club thereafter. Not once did the heads drop and Éire Óg relentlessly worked their way back into this thrilling final. An Aileen Duggan free settled Éire Óg before Rachel Maher converted a long-range free in the 34th minute to leave seven between them (1-8 to 4-6). In the 36th minute Lisa Maher plundered a goal while four minutes later Rachel Maher went for goal from a 21-yard free. Maher’s effort was blocked, but Danielle Harrington scored from the rebound and suddenly the margin was down to just one in the 40th minute (3-8 to 4-6). A Rachel Maher free following a foul on Aisling O’Brien levelled matters in the 43rd minute. Éire Óg had now notched 2-3 without reply and the Blues took the lead five minutes later when Rachel Maher converted a ’50 (3-10 to 4-6). Cruelly, Newport struck for a fifth goal in the 51st minute and then converted a free to edge back into a 5-7 to 3-10 lead. Éire Óg didn’t panic, however, with a Michelle Collins point and a third Danielle Harrington goal in the 56th minute propelling the Blues back into the lead (4-11 to 5-7). With two minutes of normal time remaining a sixth Newport goal wrestled the initiative away from Éire Óg once more while an eighth Newport point left three between them (4-11 to 6-8). A heroic Éire Óg side charged forward in waves with points from Rachel Maher and Zoe Grattan reducing the deficit to a single point as this dramatic affair moved into injury time. In the 61st minute Newport struck for a seventh goal. This time, sadly, Éire Óg failed to recover. That said every supporter of the Blues left Newport on Sunday evening immensely proud of the Éire Óg players’ efforts. The club would also like to thank manager Denise Morris, coach Paul Henry and selector Shane Connolly for all their terrific work with this group of players. Nenagh Éire Óg: Alison Darcy, Mary Dillon, Alice Darcy, Amy Heffernan, Rachel Maher (0-5, 0-2 frees, 0-1 ‘50), Alanna Morris, Claire Collins, Zoe Grattan (0-1), Michelle Collins (0-2), Lisa Maher (1-0), Aileen Duggan (0-2, 0-1 frees), Holly O’Brien (0-1), Ciara McGrath (0-1), Brenda O’Sullivan, Aisling O’Brien (0-1). Subs: Danielle Harrington (3-0) for Brendan O’Sullivan. Nenagh Éire Óg made it two wins out of two in the north Tipperary junior A hurling championship thanks to a fifteen-point win over Roscrea at Moneygall on Friday night. 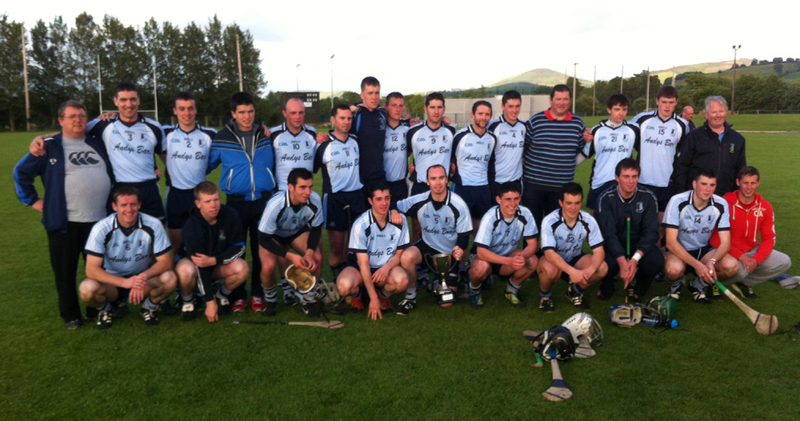 The Nenagh Éire Óg junior A hurling team who were recently crowned league champions. Éire Óg started well and led 0-2 to no-score thanks to points from Richie Flannery and Darragh Walsh. Further points from Richie Flannery in the 10th and 11th minutes helped the Blues into a 0-4 to 0-1 lead before Richie Flannery struck for a goal in the 16th minute. Roscrea responded with a free, but efforts from Richie Flannery and Michael Hackett helped the defending north champions into a 1-6 to 0-2 by the 22nd minute. Roscrea managed points in the 22nd and 24th minutes, but Éire Óg closed out the opening half impressively with points from David Hackett (free), Paul Ryan (two) and Michael Hackett retiring the sides with nine between them (1-10 to 0-4). Nineteen seconds into the second half Richie Flannery set up Bob O’Brien up for a second Éire Óg goal before a David Hackett free fired the Blues into a 2-11 to 0-4 lead. Two Roscrea points and a 37th minute goal checked Éire Óg’s progress somewhat before a brilliant left-handed point from Michael Hackett left ten between the sides in the 42nd minute (2-13 1-6). Further points from Christopher Ryan, Paul Ryan and Richie Flannery opened a thirteen-point gap entering the final ten minutes (2-16 to 1-6). A Roscrea point reduced the margin to twelve points, but Éire Óg surged into a nineteen-point lead thanks to a Michael Hackett point and 1-2 from Darragh Walsh. Walsh converted a sideline ball, then saw another sideline ball beat the Roscrea ‘keeper before Darragh then landed a long-range point (3-19 1-6). A late point and fluke goal reduced the margin significantly from a Roscrea point of view. Éire Óg’s remaining group games will be against Toomevara and Moneygall in the coming weeks while everyone associated with the team and the club wish Luke Kennedy well – Luke picked up an injury in this evening’s encounter and we wish him a speedy recovery. Nenagh Éire Óg: Kevin Flynn, Aodhán Geaney, John O’Donoghue, Michael Collins, Donnacha Heffernan, Niall Cahill, Conor Ryan, Darragh Walsh (1-3, 1-1 sidelines), Brian Maxwell, Paul Ryan (0-3), Richie Flannery (1-5), Bob O’Brien (1-0), Christopher Ryan (0-1), David Hackett (0-3, 0-3 frees), Michael Hackett (0-4). Subs: (5th) Conor Kirwan for Michael Collins, (46th) Paddy Harrington for Bob O’Brien, (49th) Luke Kennedy for David Hackett, (54th) Ger O’Gorman for Luke Kennedy, (60th) David Hackett for Richie Flannery. Referee: Dan Darcy (Kilruane MacDonagh’s). An injury time goal from hosts Roscrea saw the Nenagh Éire Óg minor A hurlers suffer a defeat in reasonably dramatic circumstances at a roasting hot Roscrea on Thursday evening. The sides traded frees early on before an Andrew Coffey point gave Éire Óg the lead in the eighth minute. The sides were locked at 0-3 apiece in the 14th minute before points from Donnacha Quinn (two) and Jack Molamphy helped Éire Óg into a 0-6 to 0-3 lead by the 19th minute. Éire Óg maintained that three-point advantage for the remainder of the opening half. A Roscrea effort did narrow the deficit in the 25th minute, but two late Aidan Healy points helped Éire Óg into a 0-10 to 0-8 interval lead. Éire Óg were now playing into a light breeze, but started the second half in positive fashion with three Donnacha Quinn points (two frees) forcing the Blues five points clear before Michael Collins landed a long-range free in the 36th minute to leave six between them – 0-14 to 0-8. The sides then traded points before two Roscrea efforts reduced the gap to four points. Then, in the 42nd minute, Sam Conlon fired home a Roscrea goal and suddenly there was just the one in it (0-15 to 1-11). Three minutes later Michael Collins won a free which Donnacha Quinn converted, but Roscrea responded with two frees of their own to level matters (0-16 to 1-13) by the 48th minute. Seconds later Roscrea landed a long-range free to take the lead. Éire Óg responded in style when good work from Jack Molamphy and Gary Howard culminated in an Anthony Walsh goal in the 50th minute – 1-16 to 1-14. Roscrea hit back with a free, but that effort was cancelled out when Christopher Ryan set up Andrew Coffey for Éire Óg’s final point in the 53rd minute. To their credit Roscrea finished strongly with a converted free and a point from play levelling it up with five minutes to play. Éire Óg narrowly missed out on a late goal when Donnacha Quinn beat the advancing Roscrea ‘keeper with a clever flick, but, unfortunately, the ball bounced agonisingly wide of the goal in the 56th minute. In the 61st minute Andrew Coffey was fouled and Barry Heffernan enjoyed an opportunity to fire Éire Óg into the lead with a long-range free. Cruelly, Barry’s monster effort hit a post, was cleared and somehow a Roscrea shot snuck in under the Éire Óg crossbar at the opposite end of the field. The Blues face Toomevara in the next round on Tuesday, July 23rd at MacDonagh Park, Nenagh (throw-in 7.30pm). Your support on that occasion would be much appreciated. Nenagh Éire Óg: Brian Gubbins, Conor Ryan, Barry Heffernan, Oisín Ryan, John Cahalan, Michael Collins (0-1, 0-1 free), Aodhán Geaney, Andrew Coffey (0-2), Christopher Ryan, Aidan Healy (0-2), Jack Molamphy (0-1), Donnacha Quinn (0-10, 0-6 frees), Luke Kennedy, Gary Howard (0-1), James Mackey. Subs: (45th) Anthony Walsh (1-0) for Aidan Healy, (57th) Gavin O’Connor for Luke Kennedy. The Nenagh Éire Óg seniors recover a nine-point deficit against Burgess in Dr Fogarty Cup County Senior Hurling Challenge Cup final as under-21 stars prepare for a date with Cork. County Senior Hurling Challenge Cup: On Sunday evening last in Toomevara our senior hurlers finished all square with Burgess after extra time in the Dr Fogarty Cup final – the final score was 1-18 each. County Senior Hurling Championship: Our senior hurlers will play Upperchurch-Drombane in round three of the championship. This game takes place on Saturday, July 27th in Templemore at 7.30pm. Junior A Hurling Championship: Our junior A hurlers continue their championship campaign on Friday evening when they face Roscrea. See fixtures for details. Junior B Hurling Championship: On Saturday afternoon last our junior B hurlers began their championship campaign, but were unfortunately lost to Ballina by twenty-two points. Minor A Hurling Championship: Our minors continue their championship campaign on Thursday evening when they face Roscrea in Roscrea at 7.30pm. Congratulations: Congratulations to Donagh O’Donnell, a former Éire Óg player, who coached Limerick to a famous Munster final win over Cork on Sunday afternoon. Best of Luck: All the very best of luck to Tommy Heffernan, Daire Quinn and the Tipperary under-21 hurlers against Cork on Wednesday evening. Under-13: Our under-13 team was defeated by Ballina in the opening round of the championship last week. Our remaining games are against Silvermines and Annacarty. These games will be played shortly. Minor: Our under-18 team had a great win over Cashel last week on a scoreline of 4-10 to 0-6. We play Clonoulty away on Tuesday, July 23rd in our next fixture. Junior: Our junior team qualified for the Munster Junior A League plate final after a comprehensive win over Crusheen. We play Newport in the final. Thanks: Thanks to all the junior and minor players who helped with our bag packing in Dunnes Stores over the weekend. We have another bag packing fundraiser in Tesco on August 2nd-3rd. Tipperary: Hard luck to the Tipperary under-16B team who were defeated by Wexford at the weekend by two points. Best wishes to the under-16A team who play Dublin in the All-Ireland semi-final next Sunday in Birr. We are in the fortunate position of having a number of players on both teams. Well done ladies and keep up the great work. Under-8: Our under-8 team had a match against Kilcormac last Saturday and a great time was had by all. Thanks to all involved. Under-12: Well done to both the group one and four teams who have reached the semi-final stages of their under-12 Go-Games league. The group four team will play Toomevara in Nenagh on Friday, July 26th while the group one team’s opposition has yet to be decided. That game is also scheduled for the 26th. Under-14: The under-14A championship is progressing well for Nenagh with a win last Wednesday against Kildangan on a 2-11 to 1-6 score line. 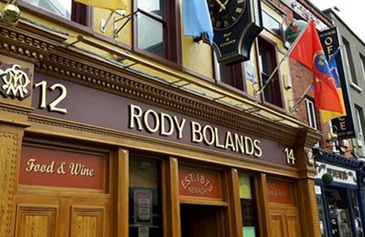 The next round match takes them away to Roscrea on Wednesday, July 17th at 6.46pm. Under-16: The under-16A championship kicked off nicely for us with a first round win over Borris-Ileigh in Nenagh with a final score of 5-11 to 2-7. We played Newport on Monday, July 15th and lost out on a 0-12 to 1-12 score line. Éire Óg are at home to Ballina on Monday, July 22nd. Come on out to support the lads! €70 max per family. Expert coaches lined up. Non-members welcome so bring your friends along. Anyone with queries can contact Camp Coordinator David Minogue on 087 125 7739. Éire Óg recovered a nine-point first half deficit to force extra time, but ultimately struggled to get the better of a resolute Burgess side at St Michael’s Park, Toomevara on Sunday. A superb long-range Eoin ‘Tossy’ Hogan point in the 80th minute earned Burgess a draw (AET) in a dramatic Fr Fogarty Cup final (County Senior Hurling Challenge Cup) played at St Michael’s Park, Toomevara on Sunday evening. Three minutes earlier Michael Heffernan had fired Éire Óg into the lead for the first time (1-18 to 1-17), but Burgess battled gamely on and were good value for Hogan’s late equaliser. Indeed, Burgess set the pace in this encounter racing into a 1-10 to 0-4 interval lead. Éire Óg struggled to make any sort of impression on a resolute Burgess defence in the opening half – the Blues only managed two points from the play, one in the third minute and another in the 27th. Meanwhile Burgess had Eoin Hogan (three), Eoin ‘Tossy’ Hogan (three), Kevin Nealon, Noel Gleeson, Jonathan Ryan and Conor Quigley to thank for pointed efforts while Kevin Nealon broke a ball for Brian Hogan to sweep home in the 26th minute to hand Burgess a fully-deserved 1-8 to 0-3 lead. Éire Óg made wholesale changes to their team either side of the interval and gained significant impetus from same. Indeed, during the opening seven minutes of the second half the Blues out-scored Burgess 1-3 to a single point. Richie Flannery (two) and James Mackey were responsible for the points while Richie Flannery scrambled home a goal in the 37th minute following Niall McGrath’s superb save from a stinging Michael Heffernan shot. Burgess dug in impressively and despite playing into the wind traded scores with Éire Óg to leave four between them (1-13 to 1-9) with fifteen minutes to play. Points from Richie Flannery and Andrew Coffey reduced the deficit to just two points (1-11 to 1-13) by the 48th minute before Eoin Hogan drove over a magnificent long-range free to leave three between them in the 50th minute. Éire Óg’s Paul Ryan reduced the deficit to two before the Blues fired three consecutive wides and Michael Heffernan spurned a goal-scoring opportunity in the 56th minute. There was still time, however, for Éire Óg to make a late rally with a point from Michael Heffernan reducing the margin to just one in the 58th minute. Then, right on the hour mark, Paul Ryan was fouled and Kevin Tucker converted from a tight angle to force extra time. Eoin Hogan (free) and Paul Ryan traded points during the opening exchanges of extra time before another Eoin Hogan free left Burgess nursing a 1-16 to 1-15 lead at the interval. A terrific Andrew Dunne point immediately after the break forced Burgess two points clear, but with the wind at their backs Éire Óg responded in impressive fashion with a superb Andrew Coffey point and a long-range Kevin Tucker free levelling matters at 1-17 apiece with four minutes to play. Seconds later Michael Heffernan drove over a terrific point to hand Éire Óg the lead for the first time, but credit to Burgess. Pat Cremin’s men stuck to their task and, finally, Eoin ‘Tossy’ Hogan grabbed a ball and swung over a long-range effort. Nenagh Éire Óg: Michael McNamara, Mark Flannery, Noel Maloney, John Brennan, Barry Heffernan, Hugh Maloney, Billy Heffernan, Pearse Morris, Alan Kelly, Kevin Tucker (0-5, 0-4 frees), Michael Heffernan (0-3), Seánie Geaney, Brian Quinn, Richie Flannery (1-5), Adam Gratton. Subs: (31st) Andrew Coffey (0-2) for Pearse Morris, (HT) Paul Ryan (0-2) for Seánie Geaney, (HT) David Hackett for Alan Kelly, (HT) James Mackey (0-1) for Adam Gratton, (34th) Conor Ryan for Brian Quinn, (72nd) Adam Gratton for Barry Heffernan, (74th) Seánie Geaney for David Hackett. Burgess: Niall McGrath, John O’Dwyer, Shane Maher, Jonathan Mulqueen, Jack O’Flaherty, Conor Quigley (0-1), Michael O’Flaherty (0-1), Noel Gleeson (0-1), Damien O’Brien, Eoin ‘Tossy’ Hogan (0-4), Brian Hogan (1-1), Jonathan Ryan (0-1), Eoin Hogan (0-7, 0-5 frees), Kevin Nealon (0-1). Subs: (HT) Brian Tucker for Jack O’Flaherty, (35th) Daniel Ryan for Jonathan Ryan, (56th) Andrew Dunne (0-1) for Kevin Nealon, (ET) Jack O’Flaherty for Brian Tucker, (73rd) Kevin Nealon for Daniel Ryan. Referee: Phil Ryan (Knockavilla-Donaskeigh Kickhams). Nenagh Éire Óg lost heavily to an excellent Ballina team in the opening round of the Watch Centre North Tipperary Junior B Hurling Championship, but battled right to the end. Nenagh Éire Óg lost out to a terrific Ballina side at Portroe this afternoon. And, although the Blues suffered a 22-point defeat the lads battled to the last and showed great pride in their approach to the game. The clash with Ballina represented Éire Óg’s opening group game in the 2013 north championship. The Blues will also face Newport, Ballinahinch and Portroe in group two. Group one consists of Templederry, Toomevara, Silvermines & Borrisokane while Kildangan have withdrawn from the competition. Ballina started well and hit the net after just fourteen seconds. Ballina led 1-1 to no-score before David Cleary got Éire Óg off the mark in the seventh minute. Two further points helped Ballina into a 1-3 to 0-1 before John Donnellan set up Paul Slattery for a terrific Éire Óg goal in the 12th minute. Three minutes later David Cleary converted a free to leave two between the sides (1-2 to 1-4). Three Ballina points opened a five-point gap before Jamie Gallagher responded for Éire Óg in the 21st minute. Ballina then fired 1-3 without reply to lead 2-10 to 1-3 by the 26th minute. Luke Kennedy responded for Éire Óg, but Ballina closed out the half in impressive fashion firing 2-3 without reply (the third and fourth goals arrived in the 34th and 35th minutes respectively). Half-time: Nenagh Éire Óg 1-4 Ballina 4-13. Éire Óg battled on manfully in the second half. Indeed, a David Cleary free got the Blues off to an ideal start. Ballina, however, responded with four points of their own before Luke Kennedy struck for a fine point in the 41st minute. A minute later David Cleary converted a free while Aidan Healy fired over a placed ball in the 47th minute – 1-7 to 4-17. Ballina surged toward the final whistle with five consecutive points while John Donnellan enjoyed the final say in the matter with a point in the 61st minute. Nenagh Éire Óg: Brian Gubbins, Brian Duffy, John Kelly, Stephen Nagle, Conor Kirwan, Lenny Ryan, Jack Sheedy, Jamie Gallagher (0-1), Christopher Ryan, Aidan Healy (0-1, 0-1 free), David Cleary (0-4, 0-3 frees), Paul Slattery (1-0), Jack Molampy, John Donnellan (0-1), Luke Kennedy (0-2). Subs: (27th) Niall Kennedy for Stephen Nagle, (35th) Ger O’Gorman for Jack Sheedy, (44th) Oisín Ryan for Brian Duffy, (44th) Peter Egan for Jamie Gallagher, (51st) Niall O’Gorman for David Cleary. Another terrific week for the Blues with the Nenagh Éire Óg under-14 Camogie team narrowly missing out on an historic All-Ireland Féile na nGael title on Sunday afternoon in Limerick. Senior: The draw took place last Monday for round three of the county senior hurling championship. Nenagh Éire Óg will face Upperchurch-Drombane. This game will be played in the coming weeks. Junior A: On Friday evening last in Toomevara our junior A hurlers launched the defence of their championship with a 0-16 to 0-14 win over Kilruane MacDonagh’s. Roscrea will provide opposition in the second group game. Minor A: Our minor hurlers maintained a one hundred per cent start to their championship campaign with an eleven-point win over Borris-Ileigh last Wednesday evening in MacDonagh Park, Nenagh. Final score: 2-19 to 1-11. Junior B: Our junior B team will begin their championship campaign in the coming week. See fixtures for details. Munster Final: Hard luck to Paul O’Leary and the Tipperary minor panel following their Munster final defeat to Kerry on Sunday last in Killarney. Commiserations: Hard to luck to Michael Heffernan and the Tipperary senior hurlers who bowed out of the All-Ireland championship following a defeat suffered at the hands of Kilkenny on Saturday evening. an historic All-Ireland Féile na nGael title on Sunday afternoon. Féile na nGael: Our Féile na nGael team enjoyed a fantastic weekend at the All-Ireland finals in Limerick. 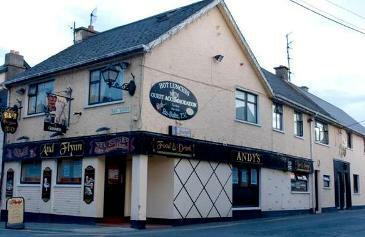 Our host club Killeedy could not have been more welcoming to our players and made us feel instantly at home. We wish to thank the club and the families for their hospitality and many new friendships have been formed. The girls enjoyed a feast of Camogie playing Killeedy, Newcastlewest, Sarsfields New Inn and Davitt’s of Derry before playing Dicksboro of Kilkenny in the Gaelic Grounds in the final. Unfortunately the Cats proved too strong winning on a scoreline of 3-2 to 1-1. However despite the result the whole weekend has been a positive experience for all our players and many lasting memories and friendships have been formed. Thanks to all who so generously sponsored the panel over the last few months, your kindness will not be forgotten. To the parents, management and committee the whole club owes you a debt of gratitude for all your hard work over the last few months. And finally the players themselves – they have done the whole club and parish of Nenagh proud with their hard work ethic, skilful displays and determination over the last few months. The host families have nothing, but praise for you all for how polite and well-behaved you were over the weekend. The whole club is very proud of you all. Under-13: Our under-13s played Silvermines in Dolla on Tuesday in their opening fixture of the championship. The result was not available at time of going to press. They play Ballina this Friday at 6.30pm in Nenagh in the second round. Minors: Our minor team play Cashel next Tuesday in the opening round of the championship in Nenagh. Juniors: Our Juniors were defeated by Burgess last week in the Munster league, but finished off the group stage of the competition with a fine win over Wolf Tones of Clare on Sunday last. Well done girls. Tipperary: Well done to Grace O’Brien and Rachel Maher who were members of the Tipperary under-16A team which defeated Galway at the weekend and qualified to meet Dublin in the All-Ireland semi-final in two weeks. The Tipperary under-16B team defeated Down and we were represented by Saoirse Gleeson, Aisling O’Brien, Michelle Collins, Sarah Quigley and Rachel Spillane. Congratulations: Congratulations to our junior B team coach Paul Henry on the birth of his son last week. Sympathies: We wish to extend our sympathies to Kate McGrath on the passing of her mother last week. Under-12: The under-12 group one and four hurling teams were away to Toomevara on Friday night last. The group one team had a convincing win and have now secured a semi-final place in the knock-out stages. The group four team fought hard, but a strong second half performance from the home team secured the victory. The group one and four teams are at home to Borris-Ileigh in the final rounds on Friday next. Under-14: Nenagh under-14s played out 2-5 to 2-5 draw away to Kilruane MacDonagh’s on Wednesday night last in the second round of the championship. The next match is at home to Kildangan on Wednesday, July 10th at 6.45pm. Come on out to support the lads. Under-16: The Éire Óg got their championship campaign off to an impressive start on Monday evening in MacDonagh Park, Nenagh when beating Borris-Ileigh 5-11 to 2-7. The lads’ next match is away to Newport on Monday, July 15th. These lads have put in a huge amount of work lately both in challenge matches and training so let’s get behind the team for the summer. Summer Camp: This year’s summer camp is on from Monday, July 22nd to 26th from 2-5pm for boys and girls aged five to fourteen years of age. The cost is €40 per child and €70 max per family. Expert coaches lined up. Non-members welcome. There will be information/booking days on Wednesday, July 10th (5.30-6-30pm) and Saturday, July 13th (10-11am). Congratulations: Congratulations to the under-14 Féile na nGael Camogie team on reaching the final of the Division1 competition last weekend. This was a great achievement. Well done to all involved.